What things would you suggest I put on the new "dedicated" circuit, and which should I leave on the existing circuit? Also, what things benefit the most from power conditioning? Everything? I must admit that I haven't often cared too much about surge protection. We've been here over 18 years and I've never had a situation that's made me think I needed it. More often than not, I've only used cheaper power strips with surge protection as a convenience, not for protection. I do, however, have my family room system running through a Panamax PM8-EX surge protector, and my sunroom HT goes through a Monster HTS 3600 MkII power conditioner, except the amp, which has always gone straight into the wall. For the basement system, I want to do it right, or at least righter... So for now, it'll just be getting that additional line run with probably two outlets in a double box at the end. Nothing fancy. Some power cord upgrades will be next, but later. 1. I have admitted that I am powerless over my emotions, that my life had become unmanageable. 2. Came to believe that a Power greater than myself could restore me to sanity. 3. Gave up because of number 2. I would suggest plugging everything except the amp and subwoofer into a power conditioner, and use the 15 amp circuit for this. The sub and amp, I would plug directly into the 20 amp receptacles, or into a device designed for high current applications. Shuntaya's Amp-1 would be an example. May want to consider another 20 amp run or 3. Might as well do it while it's easily accessible, and not worry about it in the future. Available and not being used is better than I need more later on. Don't exceed 1800w on the 15A line or 2400w on the 20A... The nice thing about this is that since the voltage remains constant, watts all remain the same as they directly correlate to Amps. I get what you're saying, but there won't be anything significant to follow. I'm happy building this as an end game system for me. So, the sub and the amp on the dedicated line. Kind of what my gut was telling me. well, kind of -- other than that little feature of AC-powered devices called Power Factor. The PF of most hifi equipment operating at steady state, I think, is pretty close to unity -- but not every component on a line necessarily has a PF of identically 1 (one). Thus, E*I (voltage times current) isn't necessarily identically equal to P (power, in watts). Good ol' inductive & capacitive reactance -- it's part of what makes this stuff so much fun. Just looked in some manuals and the top four already have me over 1200W. Seems like the second circuit is a must. Wish I'd planned this better. Yeah, @mhardy6647, can I just look at your answers? 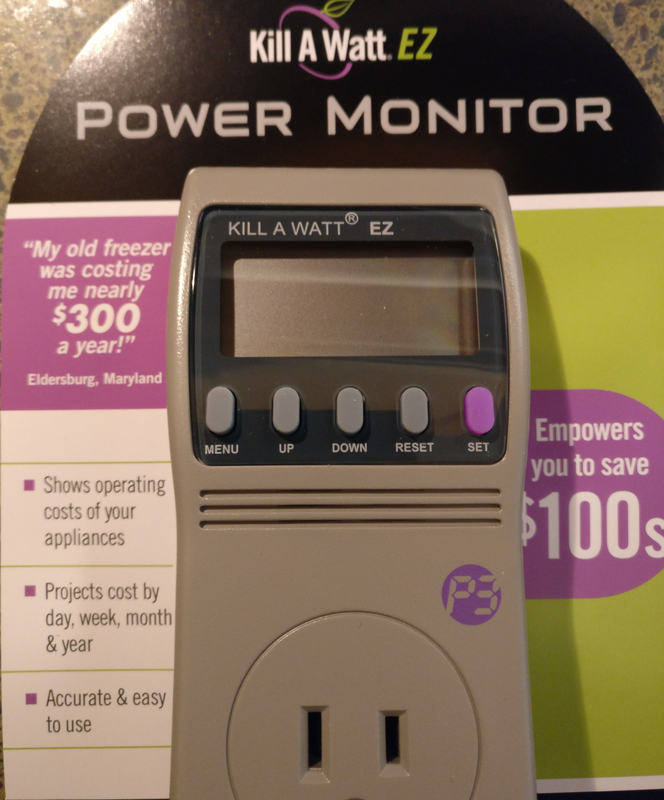 Oh, a Kill-A-Watt will measure "real" power and E*I (volt-amperes), compare the two and calculate (and display) Power Factor. IMO a Kill-A-Watt is a handy little gizmo to have around for many different reasons. Oh yeah? Name a couple, because I'm just a click away from having one of these new toys delivered here in 2 days. Looks like you should already consider a second 20 amp circuit. Personally I ran 4 20 amp circuits for my system. Only one duplex plug on each circuit. Currently using 3 of them: amp on one, sub on second, and AVR/BD/TV through power conditioner on third. Well, you can measure power consumption of a component. Any component. Or a whole slew of things (e.g., plugged into a power strip). For example, two tube monoblocks -- are they the same? One may be mis-biased and using more power. A noninvasive way to test (handy for us DIY morons who build stuff that doesn't always work quite as intended!). I also use 'em when bringing up antique (vacuum tube) gear on a Variac to measure current draw and/or power consumption. 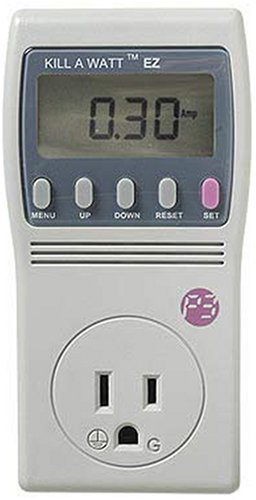 You can measure line voltage and frequency. You can measure -- derp -- power factor. cost of operating any given component. You're probably right! Maybe I can do two. Ed keep in mind that the numbers you have are peak numbers. None of the components listed run like that steady state. The closest would be the tv, and the furthest would likely be the sub. The thing is unless you are running constant 10Hz sine waves through your stereo your AVR, Integrated, and Subwoofer aren't going to be pulling anything close to that much power. What if you hit the Power Ball? Then you will wish you had four 20 amp circuits! You get a 20 amp circuit! YOU get a 20 amp circuit! Sold! Do you get commission? Yeah, of course I do! You can see how much (how little) they cost -- and you'll know why I drive a beat-up old Toyota instead of a Bentley. There is no way you will get close to drawing 1200 watts with real world playing. Do you often turn everything in your system to Max at the same time? Even then you will need to hit a high peak in the music to instantaneously draw all the watts. Before the breaker even thinks about tripping you will have other major problems with your speakers clipping, amp overheating, and your ears bleeding. For most listening you are only using a tiny fraction of what your gear is rated at. But go ahead and put in a 20 amp line. Its not that hard if you have access. 3. My Crown amps made my subs beg for mercy much better. Would I run more than 3. Probably not. I'm content that if I need more connections for source gear that the 1st circuit can provide the wattage with no problem. If I get more amps, I'd likely either run em on the B&K circuit (if they are for main speakers), or the Crown circuit (if they are for subs). I'd also suggest installing a whole home surge protector AT THE PANEL. Then you dont need to stress about plugging your stuff direct into the wall.... ANYWHERE in the house. I run my amps direct to the wall outlets (PS Audio somethings). I also was then able to justify upgrading all IEC cables to PS Audio AC-3's. So if you can, I'd run another 2 circuits and you'd be good. Thanks @EndersShadow, for the detailed reply! 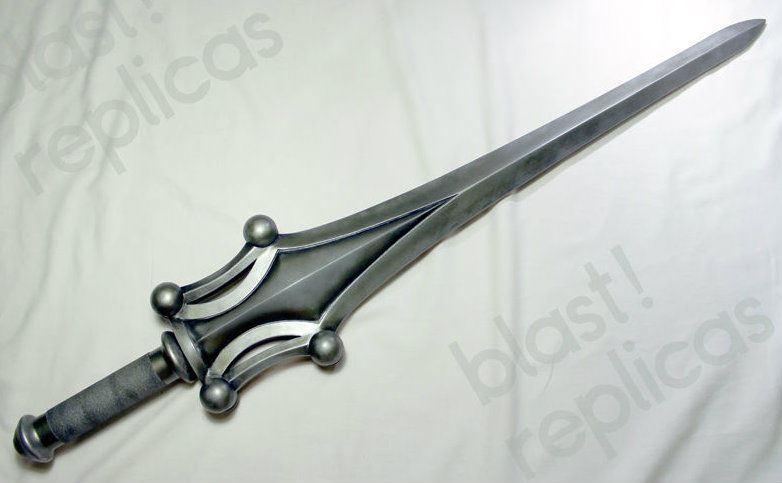 Edit: points if you know what this is without looking it up. The thread title made me think of a Warren Zevon song -- but the title isn't Vanilla-friendly. Got my new toy yesterday. Haven't killed any watts yet, however. Evidently, my neighbors in Eldersburg have been happy with theirs! Doesn't this belong in that other thread? ?